Looking for a great spot to spend your vacation? Well look no further! Gun Lake Michigan is the place to be! 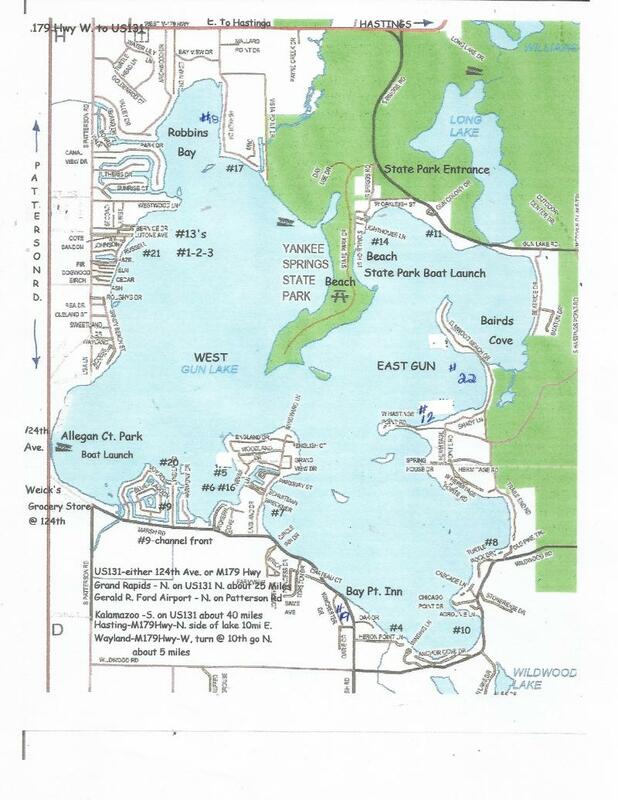 Located in beautiful Southwest Michigan, Gun Lake is the largest inland lake in this area of the state! 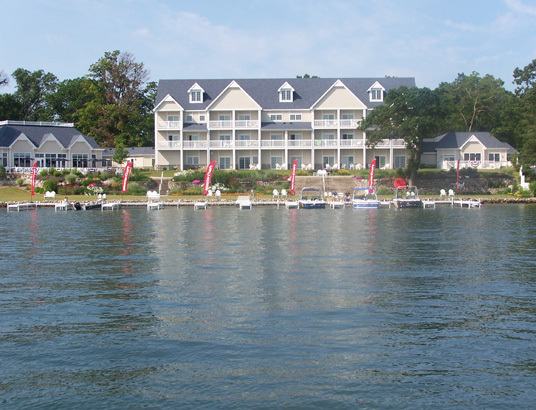 Gun Lake is a All Sports Lake with 2680 acres offering activities such as boating, water skiing, tubing, sailing, swimming, kayaking, jet skiing, Para Sailing and great fishing to land activities such as hiking, biking and snowmobile trails, hunting in the Yankee Spring Recreational Area. The Yankee Springs Recreaational Area consit of 5200 acres for you to explore - great for spring & fall mushrooming! There are several golf courses within a 5 mile radius of the lake and fine dining at the Bay Pointe or more casual dining at the Sandy's Country Kitchen, Circle Inn, Curley Cone, McDonalds & Sand Bar Grill. Grand Rapids is just 25 minutes to the north offering the Gerald R. Ford Museum, Grand Rapids Art Museum, Grand Rapids Childrens Museum, Roger B. Chaffee Planetarium, VanAndel Museum Center and the Frederik Meijer Gardens & Sculpture Park. Kalamazoo is 45 minutes to the south offering Air Zoo-Aviation History Museum, Kalamazoo Institute of Arts, and Battle Creek 26 miles away with the Binder Park Zoo! Gerald R Ford Airport in Grand Rapids is just 25 miles from the lake and the Kalamazoo Airport about 50 minutes away! Detriot Airport 150 mi -Chicago Airport 175 mi. Smaller cities close by are Wayland,(10mi)NW, Hastings, (10mi) E, Plainwell,(20mi) S, Delton, (15mi)SE, Allegan(17mi)SW, South Haven(51mi)SW - Holland (49mi) NW! The Gun Lake Casino in Bradley is now open - 7 miles from Gun Lake! We do offer winter time rentals for snowmobilers and ice fishermen! Call for availability and cost. For more info on Snowmobile Trails, go to www.fishweb.com for a map of trails in the Wayland area! We rent beautiful cottages on a weekly, monthly and off season basis. Give us a call to see if we can accomadate your vacation needs! Interested in renting a cottage for a summer getaway, family renuion, or just because you love Gun Lake. Call or Email us today.